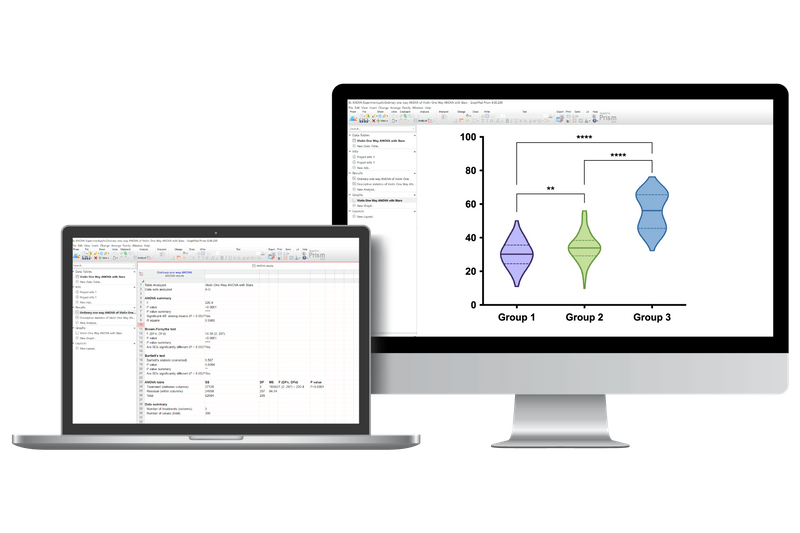 Automatically generate volcano plot (difference vs. P value) from multiple t test analysis. Kolmogorov-Smirnov test to compare two groups. 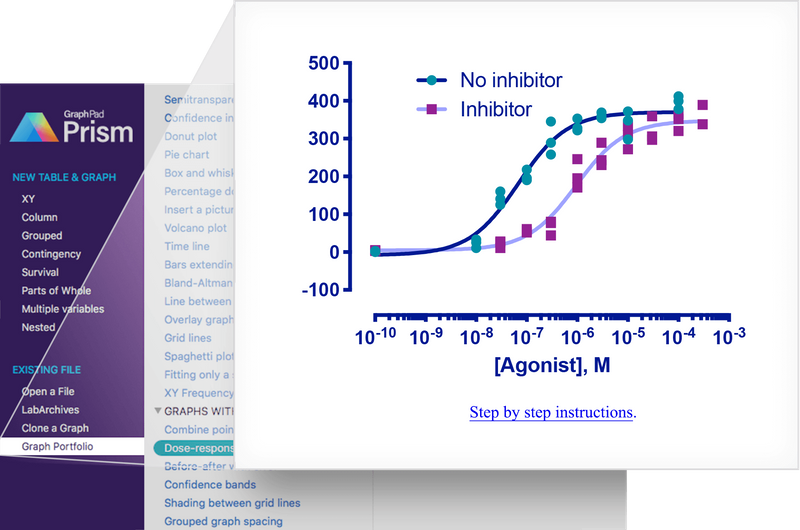 Perform many t tests at once, using False Discovery Rate (or Bonferroni multiple comparisons) to choose which comparisons are discoveries to study further. Ordinary or repeated measures ANOVA followed by the Tukey, Newman-Keuls, Dunnett, Bonferroni or Holm-Sidak multiple comparison tests, the post-test for trend, or Fisher’s Least Significant tests. Greenhouse-Geisser correction so repeated measures one-, two-, and three-way ANOVA do not have to assume sphericity. When this is chosen, multiple comparison tests also do not assume sphericity. Two-way ANOVA, with repeated measures in one or both factors. Tukey, Newman-Keuls, Dunnett, Bonferroni, Holm-Sidak, or Fisher’s LSD multiple comparisons testing main and simple effects. Three-way ANOVA (limited to two levels in two of the factors, and any number of levels in the third). 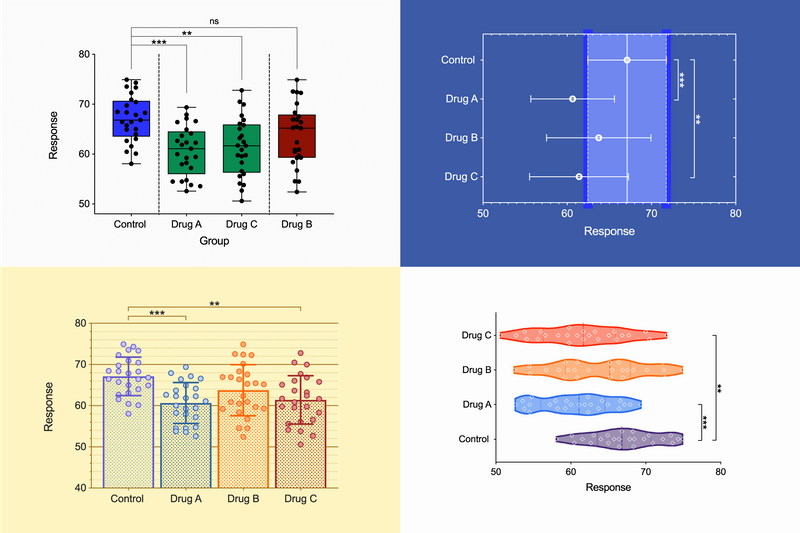 Analysis of repeated measures data (one-, two-, and three-way) using a mixed effects model (similar to repeated measures ANOVA, but capable of handling missing data). 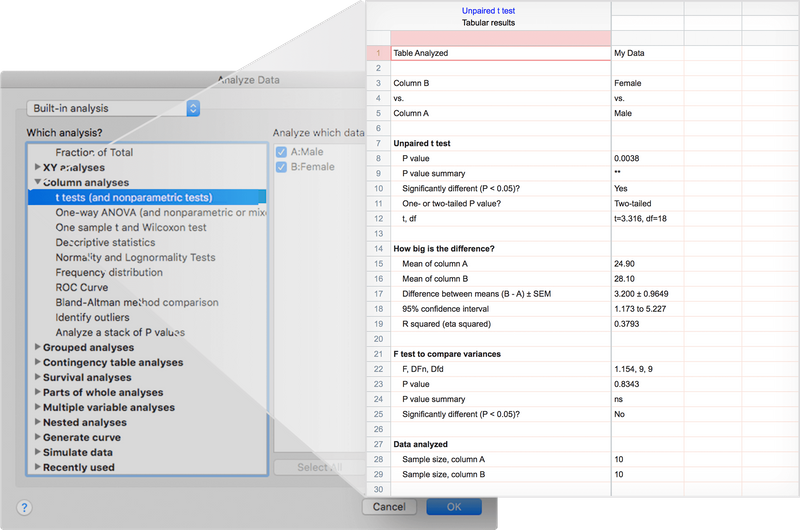 Comparison of data from nested data tables using nested t test or nested one-way ANOVA (using mixed effects model). Fit one of our 105 built-in equations, or enter your own. Now including family of growth equations: exponential growth, exponential plateau, Gompertz, logistic, and beta (growth and then decay). Global nonlinear regression �C share parameters between data sets. Differentially weight points by several methods and assess how well your weighting method worked. Quantify precision of fits with SE or CI of parameters. Confidence intervals can be symmetrical (as is traditional) or asymmetrical (which is more accurate). Quantify symmetry of imprecision with Hougaard’s skewness. Fit straight lines to two data sets and determine the intersection point and both slopes. Calculate descriptive statistics: min, max, quartiles, mean, SD, SEM, CI, CV, skewness, kurtosis. Normality testing by four methods (new: Anderson-Darling). Lognormality test and likelihood of sampling from normal (Gaussian) vs. lognormal distribution. Create QQ Plot as part of normality testing. 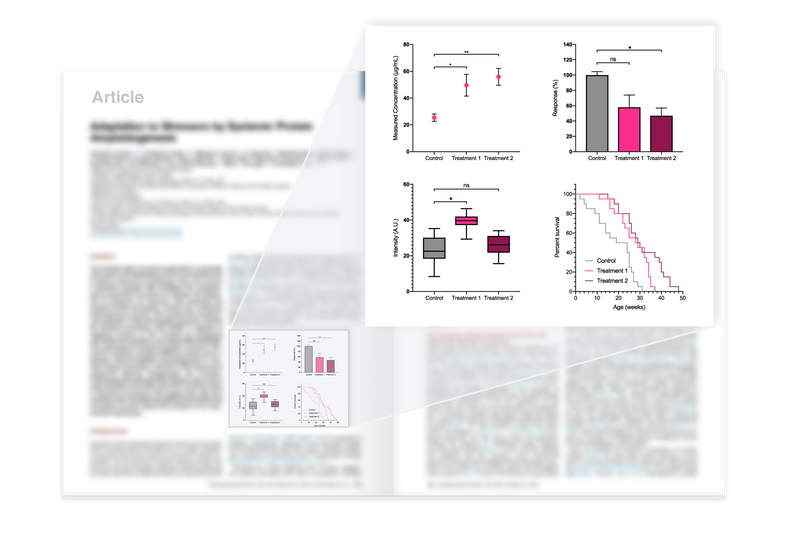 Analyze a stack of P values, using Bonferroni multiple comparisons or the FDR approach to identify "significant" findings or discoveries. 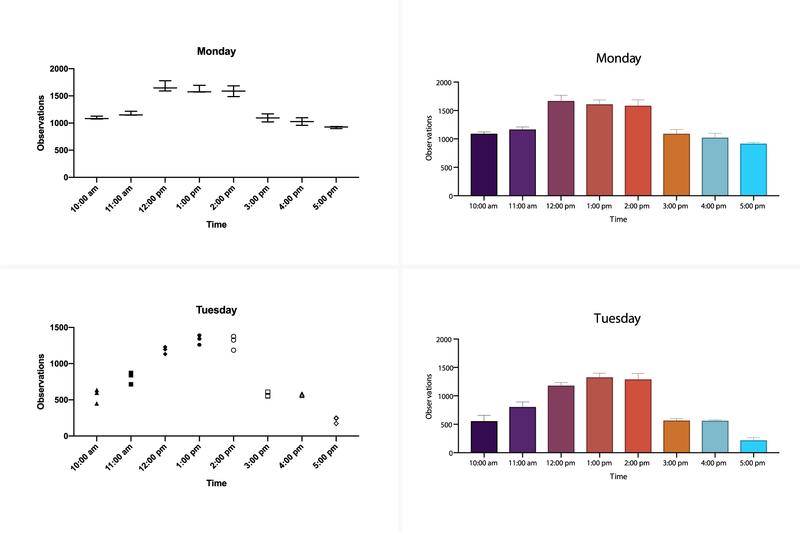 Calculate and graph residuals in four different ways (including QQ plot). Multiple linear regression (including Poisson regression) using the new multiple variables data table. Receiver operator characteristic (ROC) curves. Deming regression (type ll linear regression). 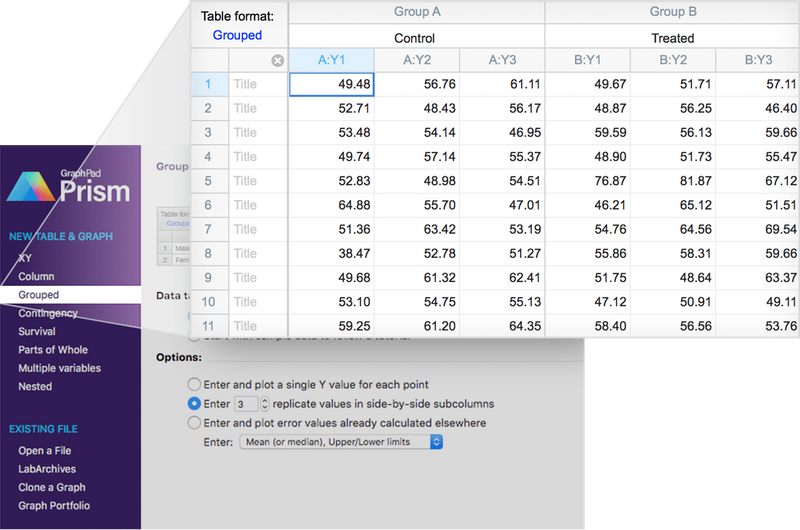 Simulate XY, Column or Contingency tables. Repeat analyses of simulated data as a Monte-Carlo analysis. Plot functions from equations you select or enter and parameter values you choose. Area under the curve, with confidence interval. 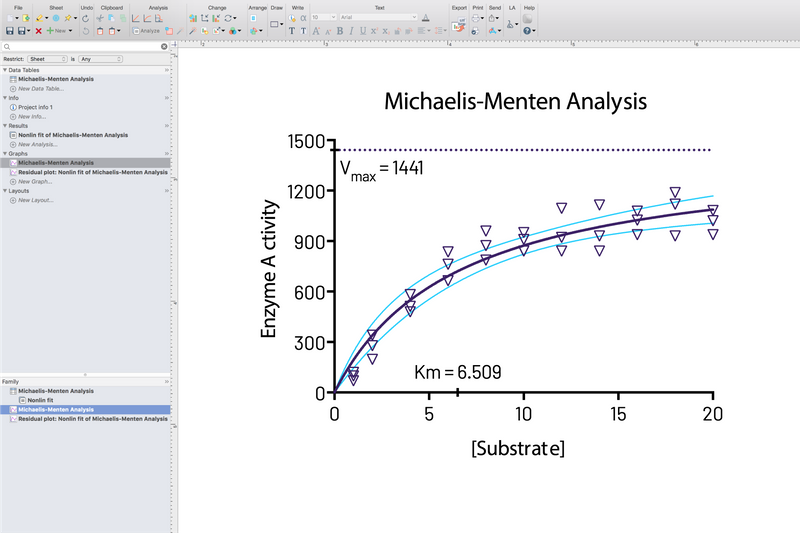 Subtract baseline (and combine columns). Compute each value as a fraction of its row, column or grand total.